Antarctic ice sheet melting in the near future was reported. It is based on the latest research and investigation. Under the influence of global warming, vast amounts of ice in the polar region have melted. An investigation conducted in 2007 revealed that the extent of ice coverage across the seas had decreased by over 40% during the past 30 years and, in the summer of 2012, the ice coverage became the smallest on record. Additionally, the thick covering of ice in Greenland has been observed to be melting on all parts of the island. No less than 90% of the ice existing on the earth is the Antarctic ice sheet. It is said that the sea level across the globe is raised by as high as 60cm if said ice would melt by only one percent. For that reason, researchers from around the world have been engaged in research, observation, and investigation concerning the Antarctic ice sheet. It was formerly thought that Antarctica is not susceptible to global warming. The latest investigative study, however, revealed that Antarctica is highly sensitive to global environmental changes. In fact, Antarctica, the Antarctic Peninsula particularly, has been experiencing the most acute global warming in the world. Approximately 10 years ago, the ice shelf on its eastern tip, which covered an area 1.5 times as large as the Metropolis of Tokyo, was confirmed to have extensively collapsed. The majority of Antarctica, the eastern side, is vastly unexplored. The thick ice sheet in that region is, to date, considered to be stable against some climate changes because it is lying on the rock strata and because the ambient temperature is very low. Research conducted by a Japanese investigation team, however, indicates that the ice sheet there could undergo far greater changes than was previously thought, confirming that the East Antarctica ice sheet has drastically decreased. The Australian Antarctic Division has been investigating the terrain of Antarctica jointly with researchers of the U.S. and the U.K. since about 2007. Its true terrain, hidden underneath the ice that is as thick as 5,000 meters, has been veiled in mystery. Recently, however, aircraft mounted with special radar flew over Antarctica. The analysis of reflected radiation from the radar revealed the relief of the landmass, making it clear that Antarctica is, actually, not a continent, but a group of islands. 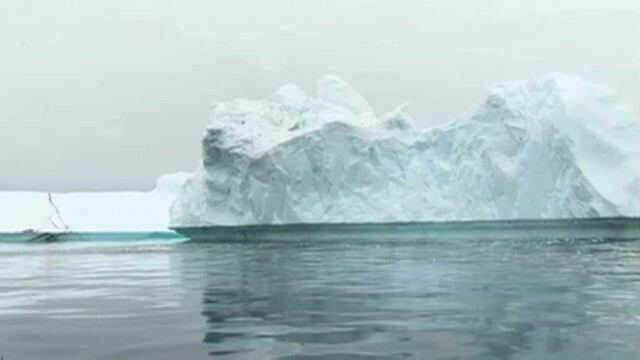 The investigation further revealed that approximately 45% of the area that comprises Antarctica is below sea level. Current agreement amongst the scientific community is that the ice in these conditions lacks stability and, therefore, melts easily. If the ice sheet continues its progression and rate of melt, as expected, and exceeds a point of no return, the danger, then, is that this will contribute to vast amounts of remaining ice being lost on a continuing basis. Under the influence of global warming, it is currently predicted that the average air temperature will increase by 3 degrees during the coming 100 years, becoming nearly the same as the temperature of 125,000 years ago. The Geological Department of the University of Florida has been carrying out research on comparable temperature based on the height of coral fossils. The study’s conclusions indicate that 125,000 years ago, the sea level was 9 meters higher than the present level. It further concluded that, while the rise of 3 meters was due to the melting of ice in Greenland and other places, the rise of the remaining 6 meters can only be accounted for by the melting of the Antarctic ice sheet. Furthermore, a supercomputer-based simulation by the Atmosphere and Ocean Research Institute of the University of Tokyo revealed that a full 60% of the Antarctic ice is in a state subject to rapid melting. It is also becoming clear that the extraordinary events mentioned below would contribute, along with the progress of global warming, to the potential of a sudden reduction of the Antarctic ice sheet.  The melting of glaciers in the Himalayas and the ice in Greenland contributes to rising sea level.  The sea temperature would rise if submarine volcanoes become more active. These events would cause sea water to encroach upon the inland regions of the earth. Then, as the ice sheet continues to melt and thins, its thinner portion could be lifted up by the buoyancy and force of sea action, causing the ice shelf to fracture, and resultant icebergs would most likely drift out to sea where melting would be even more rapid. In recent years, undersea volcanoes are activating worldwide. For example, a submarine volcanic explosion occurred near Sarigan, one of the northern Mariana islands, in 2010. More recently, activities of the submarine volcano Monowai located near Tonga were confirmed. Additionally, on April 29, 2012, the Seismological and Volcanological Department of the Japan Meteorological Agency made an announcement that submarine volcanoes are becoming active on Iwo Island. If the sea level rises by 9 meters, lowland countries and regions including Tuvalu, Marshall Islands, Maldives, and Venice will be submerged, and the coastlines of many other countries, including Japan, will move inland several miles. This is an extremely serious situation. Earth’s imbalances must be corrected in order to avoid what appears to be an otherwise inevitable devastation. It is urgent to employ whatever means are available to restore harmony. While the scientific community is racing against the clock, we are not destined to be victims nor are we solely dependent on scientific measures. Working together through the dedicated regular practice of Ho’Oponopono for the earth, each one of us can make an invaluable contribution and, perhaps, be just the instrument through which disaster is averted and balance is restored to our beloved earth.